Anjali is a student at Middlesex University, London, pursuing a degree in Medical Biochemistry. She aims to dedicate herself towards cancer research and dreams of having her own state-of-the-art research facility for women from under privileged and challenged background. Born in Mumbai, India, Anjali moved to London with her parents when she was 4 years old. She did her schooling and college in North Harrow before moving to Grays. She considers herself very fortunate to have within her, an amalgamation of both the rich Indian and British cultures, tradition and heritage. Above all, she is proud to be a woman and a feminist. She strongly believes that feminism isn’t about making women stronger. Women are already strong. It’s about changing the way the world perceives that strength. Anjali, an animal lover, is a fitness enthusiast and regularly trains in Pilates and has been previously trained in Karate. Her other interests are dancing (Bollywood and Hip Hop), singing, listening to Music, producing EDM (Electro Dance Music), photography, and playing musical instruments like the guitar and piano. In the run up she will be tasked with a series of challenges and fundraising for A-Sisterhood – an organisation which supports the advancement of women worldwide. In 2018, monies from the fundraising will be donated to Llamau, a homeless charity in Wales which runs special projects to help homeless women; the National Centre for Female Genital Mutilation which aims to put an end to this crime by 2030; Stop Acid Attacks in India which helps survivors of acid violence; and The Black Mambas which is South Africa’s first all-female anti-poaching unit protecting the rhino. 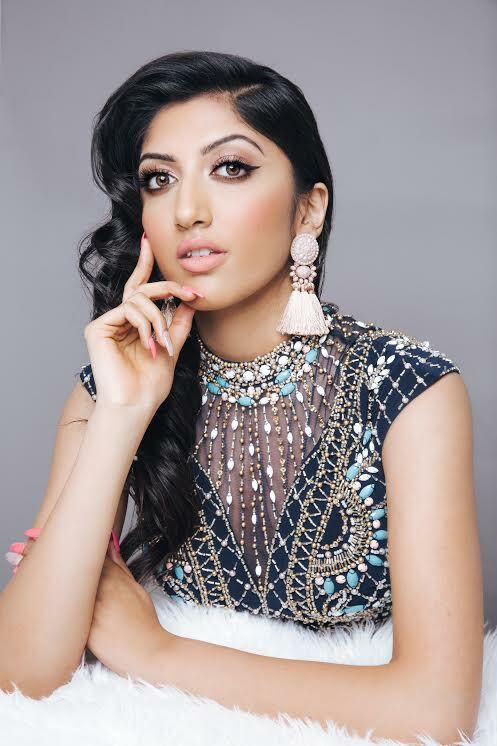 Anjali feels, representing Great Britain at the internationals and bringing home the crown and making our country proud would be a huge honour and a privilege for her and her family and would further enhance her ability to raise awareness amongst women that the strength to change the world lies within us.